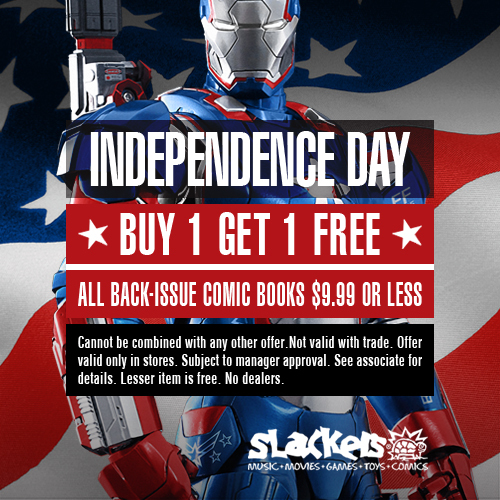 This Independence Day, come into Slackers to Buy 1 Get 1 FREE* on all Back Issue Comics regularly priced $9.99 or less! * The Lesser item is free. Cannot be combined with any other offer. Subject to manager approval. See associate for details. No dealers. Offer valid July 4th, 2016 only.